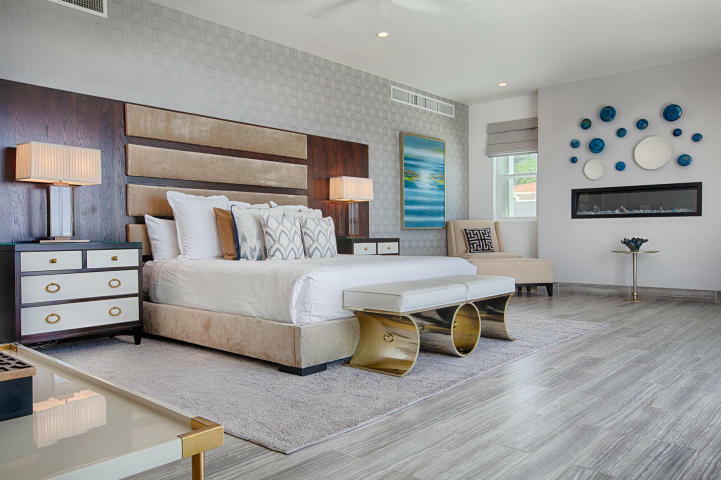 The designer chose custom furniture creations by Bernhardt and Star International with Robert Allen bedding accents. 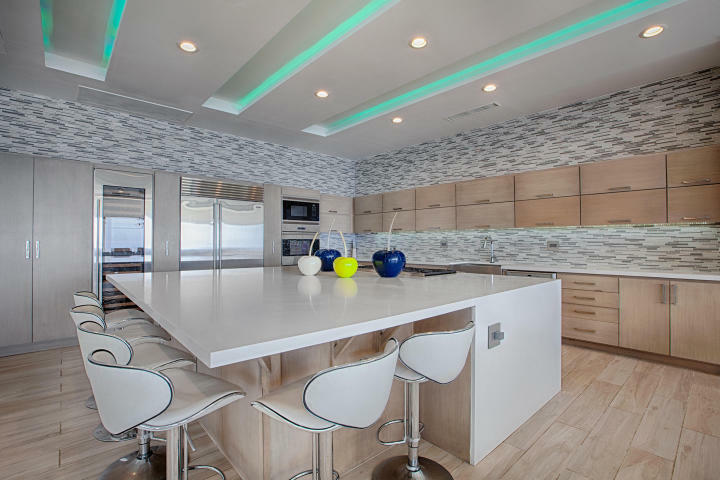 Kitchens and bathrooms exult impressive imported Italian glass tiles and natural stone work throughout. 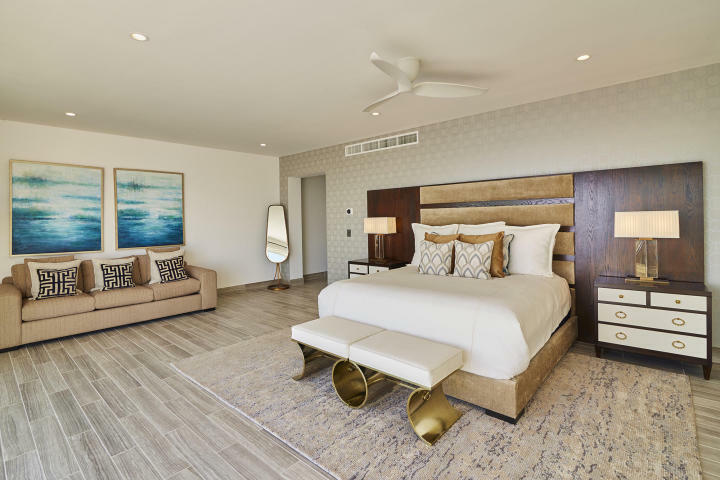 The upper-level 1550 square-foot master suite has a private patio with a Dr. Wellness hot-tub. 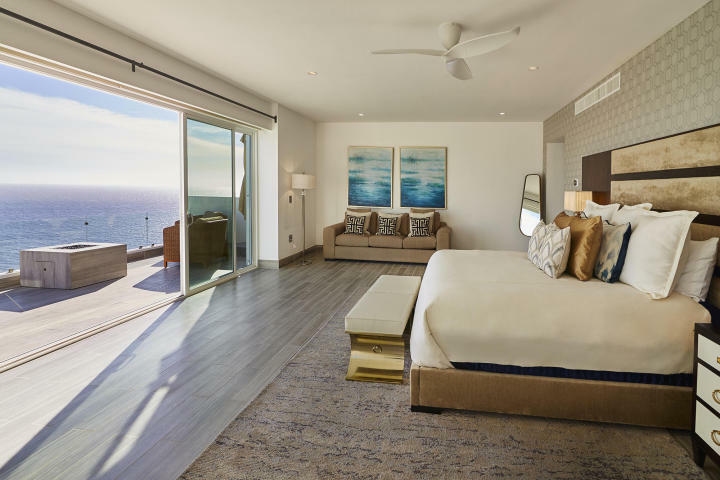 Wake up to the endless view of the majestic Pacific Ocean or retreat to its sitting area to enjoy the peace and serenity of the intoxicating deep blue waters. 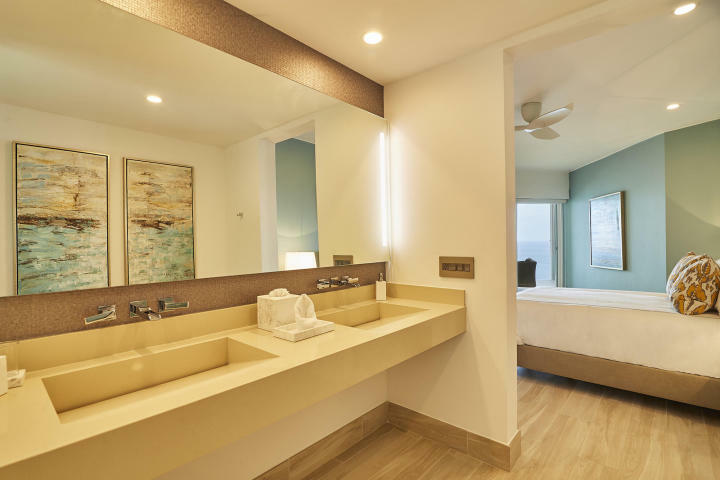 There are seven ample guest bedrooms all with large en-suite bathrooms. 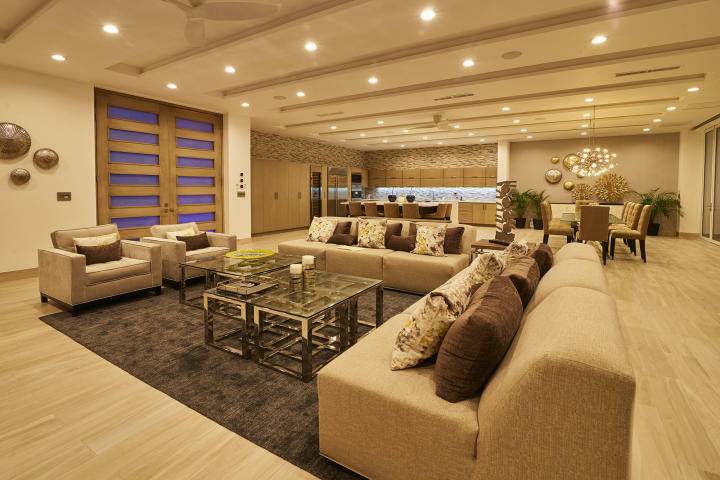 The open kitchen and dining area accommodate up to twenty guests in comfort. 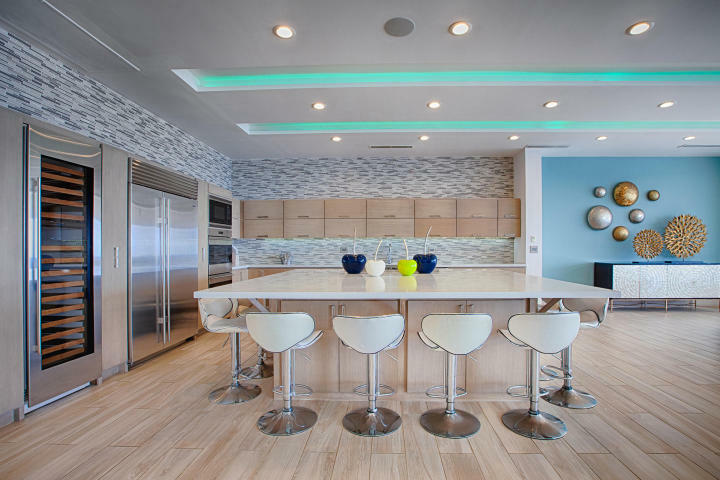 A gourmet kitchen is designed for meals and entertaining, around a large kitchen island. 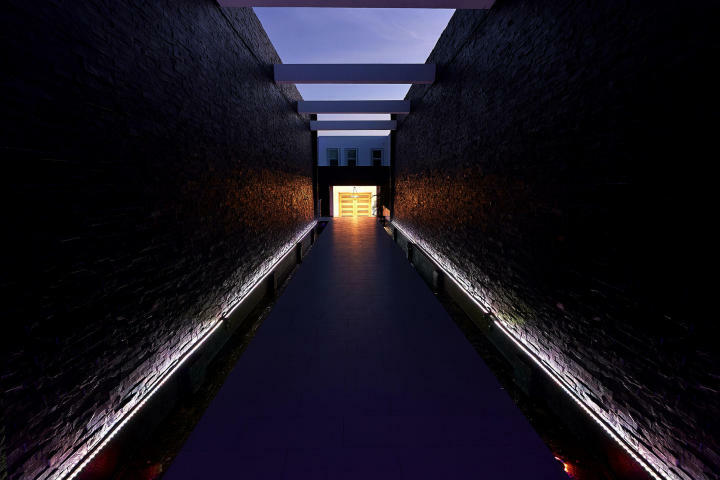 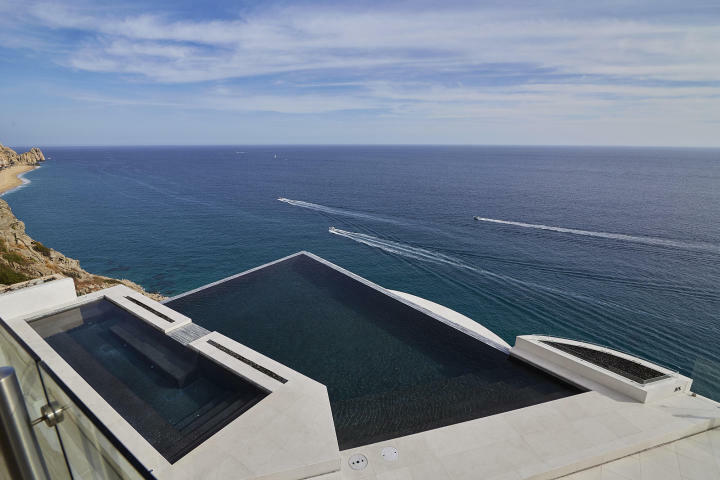 The pool deck has an elevated spa overflowing into the negative edge pool, producing a visual effect of water extending to the horizon – vanishing into infinity. 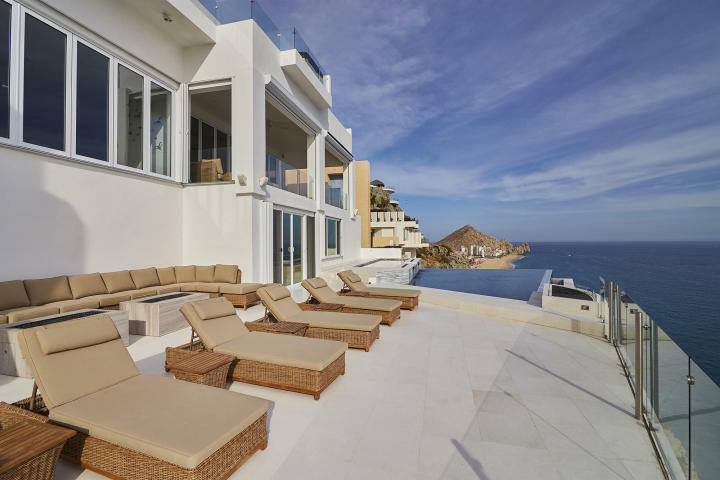 The pool level offers an outdoor grill and indoor kitchen, dining area and fully equipped exercise room. 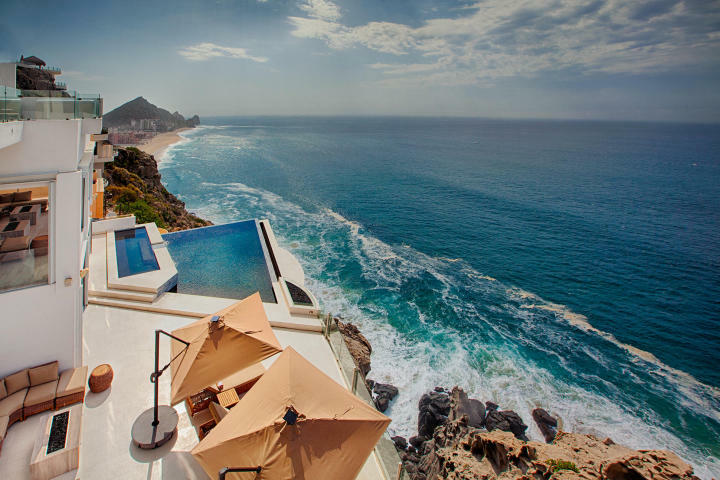 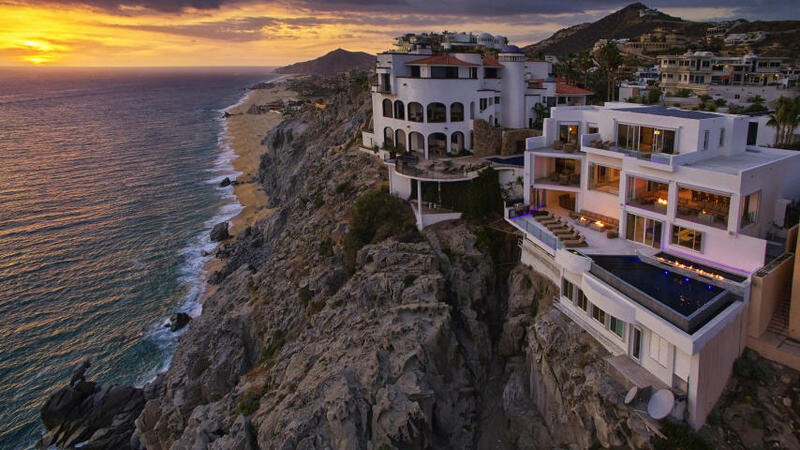 Majestically situated on a granite oceanfront cliff, overlooking the crashing waves of the Pacific Ocean, Villa Land’s End fully embraces its location in the gated community of Pedregal de Cabo San Lucas. 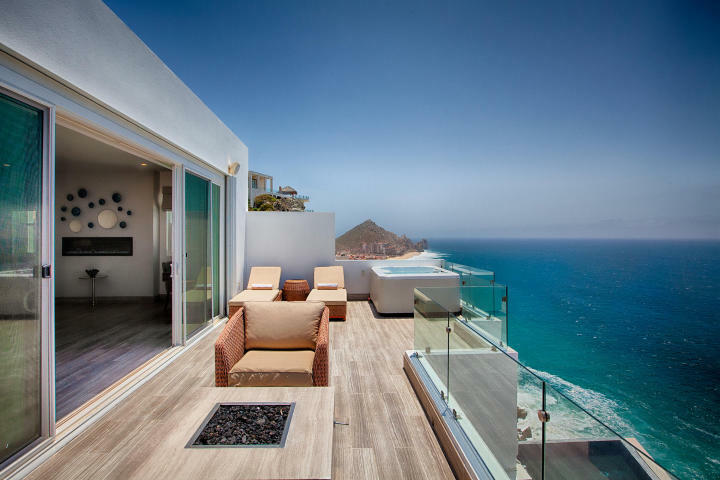 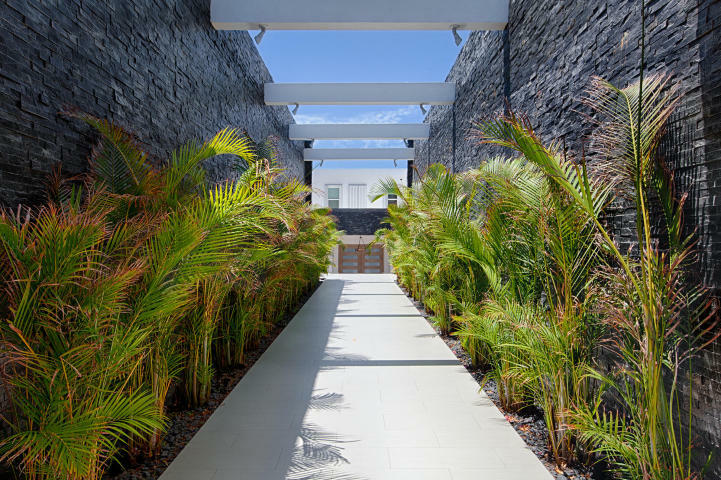 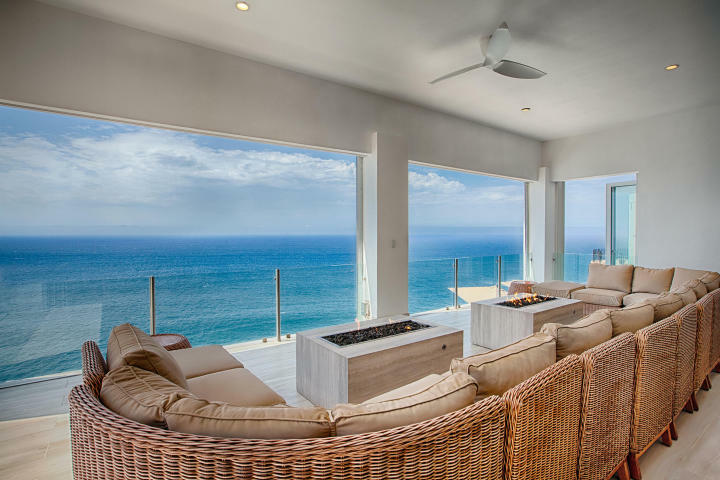 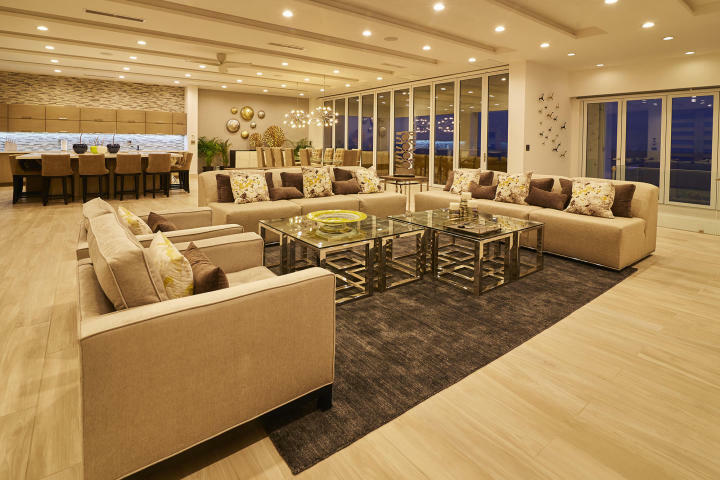 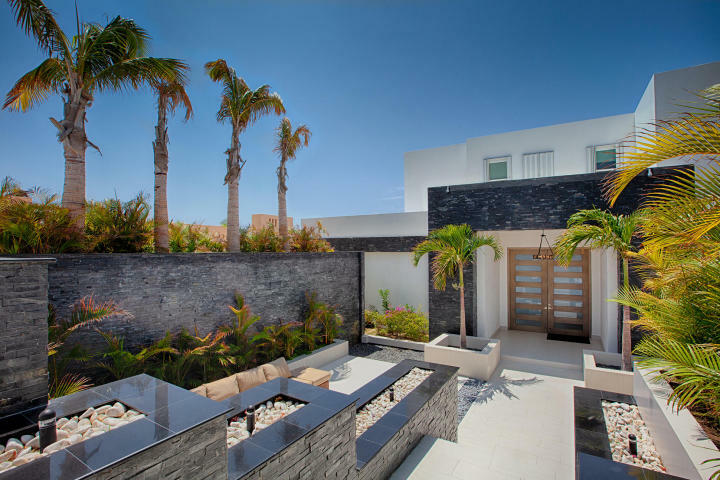 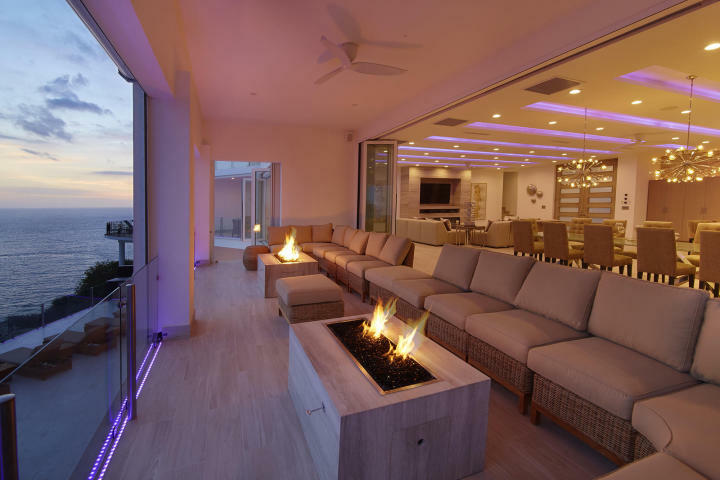 Encompassing more than 13,000 square feet of indoor and outdoor living space, Villa Land’s End is a Los Cabos gem, worry free ownership complete property management, rental return and concierge services.